Looking for a charter bus rental company to book a pleasant group transit with genuine concern and care in the most convenient, affordable and timely fashion? 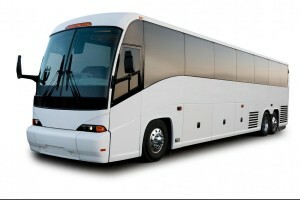 DC Charter Bus is the company for you! Personable and friendly, our drivers go an extra mile to deliver the greatest customer service, greeting you with a big smile and taking you on a pleasurable ride with complete safety and security . Our charter bus rental comes along with several amenities including Wi-Fi, PA system, music system, Air Conditioning facility and restrooms, etc. Our buses have an accommodation capacity of up to 50 persons to meet all your travel needs whether personal or professional. Welcome the arrival of spring with the celebration of the Cherry Blossom Festival with your friends and family as a group riding in one of our comfortable charter bus rental through the beautiful sea of pink and white as majority of the trees open their buds around the Tidal Basin. Don’t forget to take as many snaps as possible to lock the striking memories of this remarkable festival and share with your dear ones. With DC Charter Bus, we are sure about the fact that you and your fellow members will be engrossed in the splendor of nature creating some wonderful everlasting memories just as many of our customers, as apparent from their fantastic reviews. Hop into your charter bus rental where you will find the music already bumping! Drink and laugh out loud with your friends while you ride in luxury. You will find that our choice of music will be amazing. You can also bring along with yourself some of your favorite music and ask our drivers to play for you. We bet you shall never be disappointed with the level of professionalism of our drivers particularly within the most competitive rates we charge. We understand that when you book a charter bus, you expect a worry free comfortable group transportation with complete reliability to make sure one of biggest task of your event, i.e. transportation of passengers from one place to the other goes without any hassle and your group enjoys their ride. That is why we at DC Charter Bus evaluate the entire requirements of your group and leave no stone unturned to provide awesome service in a timely manner making sure our price never goes out of your budget. We provide charter bus rental for all your travel needs, whether you plan to take your group on an educational trip, a corporate convention, a wedding ceremony or simply a sight-seeing adventure with old and new friends. 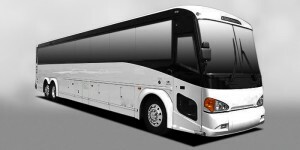 You can choose your preferred vehicle from our enormous fleet of high class automobiles through our website www.dccharterbus.com and let us know all your travel details for us to come up with the best solution for your particular needs. Our 24/7 customer care associates can be contacted via our direct number (202) 765-2351 for any advice or guidance needed to enhance your travel experience in Washington DC. You can also drop us a message at info@dccharterbus.com or visit our office at 700 12th Street NW, Suite 700 Washington, DC 20005.